Discover how to reach your sales goals by delivering a more impressive customer experience, with these social selling tips from sales expert Barb Giamanco. Editor’s Note: In this series, we feature quick and tactical social selling tips from thought leaders in the profession. Today’s contributor is Social Centered Selling President and Social Selling Advisor Barb Giamanco. If positive change is what you want, then placing emphasis on improving just one silo of the business just doesn’t make sense. Though I maintain my steadfast passion for igniting sales transformation, I do not believe that the conversation should focus on social selling or social media marketing, with each executing their strategies in a vacuum. A recent Bain & Company survey revealed that 80% of CEOs believe they deliver a superior customer experience, but only 8% of their customers agree. While there’s certainly value in adopting a more social approach to selling, it’s unrealistic to think that transforming the sales team alone will allow the organization to exceed revenue goals. Sure, sales may carry the quota, but other functional departments – Marketing, Service, Operations, Accounting and the C-Suite – play a big role in wins and losses. A wide variety of factors can lead to a go or no-go decision: the first marketing email, the first webinar attended, online customer reviews, company news, predictability of costs, etc. My point is that sales leaders who are looking to solve challenges need to think beyond the crash courses on how to put social selling to work – they need to inspire and enable a collaborative, organization-wide effort for becoming a social business. Why Aren’t More Companies Focused on a Better Experience? It takes hard work. It involves departmental leaders taking accountability for what’s happening both inside and outside their previously-siloed departments, which is still a novel concept for many. But if you want to ensure a positive experience for all the scenarios your potential buyers and customers will encounter, all departments must come together to design it. For experience as a strategy to work, you need an organized and phased approach for integrating the right processes into your business. Everything must be considered from your prospects’ and customers’ point of view. 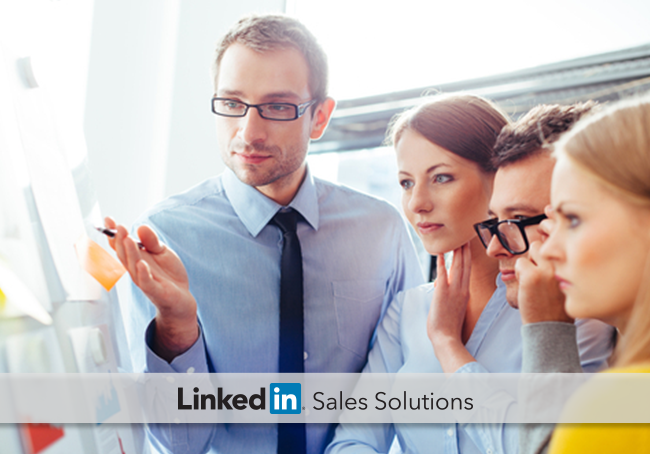 This is why I believe the “all you need is social selling” mantra is no longer good enough. As a sales leader, there’s only so much you can control. Start by shooting for small wins and use the momentum to inspire organizational change. You can start by re-evaluating the sales experience from your customers’ point of view. Properly train your team members on creating a LinkedIn presence that mirrors how you want potential buyers and customers to perceive your brand. Then, work with your marketing leaders to gradually create a more cohesive, more positive experience from the discovery phase to the final product demo. Continue working together to identify opportunities to gradually bring in other departments, creating more small wins for both you and your customers. Promote your success stories among the entire organization. Let these success stories inspire others to join your holistic movement toward providing the experiences that will ultimately allow your organization to exceed revenue goals. For more expert insights on building a bigger, better sales strategy, check out the 33 Social Selling Tips by Social Selling Thought Leaders eBook. Asking for Referrals: Have You Earned the Right?